Earlier this week, StreetPass Long Island members who are Animal Crossing: New Leaf fans got to experience an exclusive holiday: Setsubun! Thanks to SPLI Co-Founder Debbie’s Japanese 3DS, members were invited to participate in the event via WIFI on Monday, 2/3/14. For those who don’t have the time to watch the whole event, here are some video highlights! Thanks to everyone who came and participated. The next Japanese exclusive holiday is the Dolls Festival on 3/3/14, so stay tuned for that! 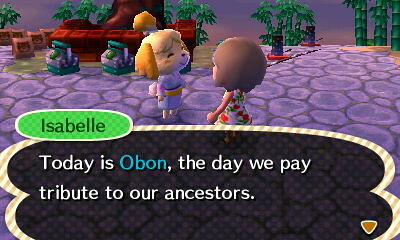 Animal Crossing: New Leaf players will want to clear their schedules for Monday night! 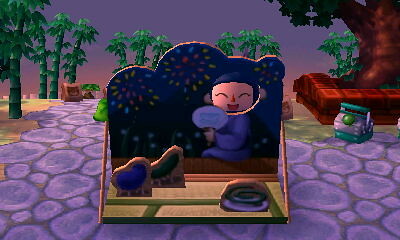 On 2/3/14 from 9pm – 11pm, SPLI Co-Founder Gluxbox will be hosting the Setsubun Festival in her Japanese ACNL town of Wasabi. All participants will receive a free Ogre Mask! 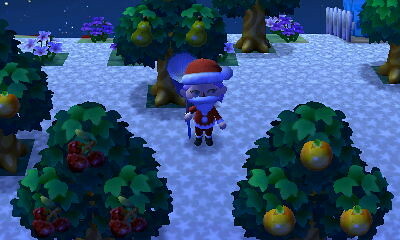 WHERE: Wasabi Village, ACNL. For details on how to participate, please visit the Event Page below. NOTE: To make the event run more smoothly, we are going to do a Live Stream of the event on the StreetPass Long Island Twitch TV Channel. This means that only two visitors will be able to enter at a time, since the streaming 3DS will be in Wasabi Village continuously throughout the event. 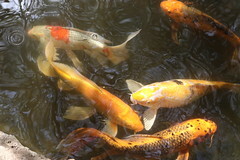 Please use the chat room on the Twitch TV feed to coordinate on when to enter Wasabi Village. Please be patient, as there will be many people trying to enter at the same time and we don’t want to have disconnection and game crashing issues. Please also be considerate of others and keep your visit brief so that others can have their turn. Thank you! From Wikipedia: Setsubun (節分?, Bean-Throwing Festival or Bean-Throwing Ceremony) is the day before the beginning of Spring in Japan. The name literally means “seasonal division”, but usually the term refers to the Spring Setsubun, properly called Risshun (立春) celebrated yearly on February 3 as part of the Spring Festival (春祭haru matsuri?). In its association with the Lunar New Year, Spring Setsubun can be and was previously thought of as a sort of New Year’s Eve, and so was accompanied by a special ritual to cleanse away all the evil of the former year and drive away disease-bringing evil spirits for the year to come. This special ritual is called mamemaki (豆撒き?) (literally “bean throwing”). Setsubun has its origins in tsuina (追儺? 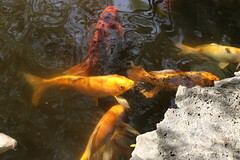 ), a Chinese custom introduced to Japan in the eighth century. In Animal Crossing New Leaf, visitors must go to the Town Plaza to receive their free Red or Blue Ogre Mask from Isabelle. 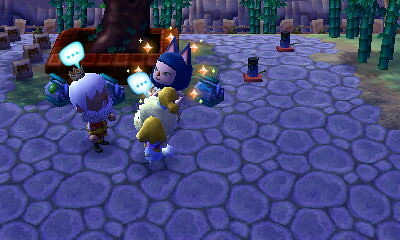 If you put the mask on your character and talk to the town residents, they might just give you a surprising reaction! 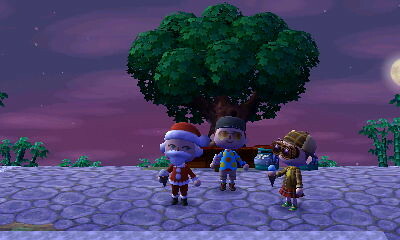 What You Missed: Christmas in July Party! OK, OK I know it’s August. 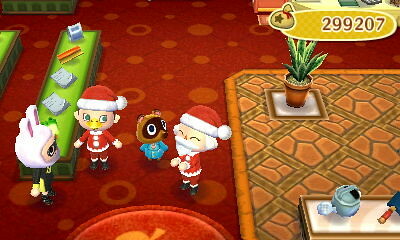 But last week it was July, and in the Japanese ACNL town of Wasabi, Mayor Neko was busy hosting a Christmas in July Party! To make the town as festive as possible despite the heat wave, Mayor Neko went to work decorating Wasabi the old fashioned way. First she assembled her Santa suit, complete with Santa beard and boots! 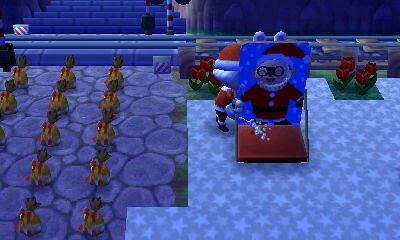 Then Mayor Neko spent an afternoon placing custom snow pattern tiles all over the town, to fake the appearance of snow. It was still obviously summer, but much more festive looking! 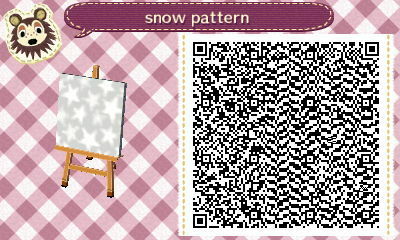 For those who want to copy this snow pattern, you can find the QR code for the pattern here! 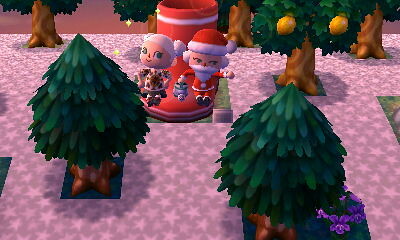 Mayor Neko recruited Mayor JDubz to help with the wrapping of presents and dropping them all over the Gate area for the guests of the party! 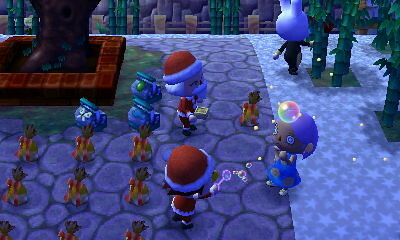 Many of the gifts were either festive themed or Nintendo themed! 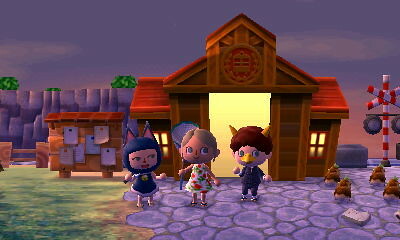 What You Missed: Super Awesome ACNL Garden Party! 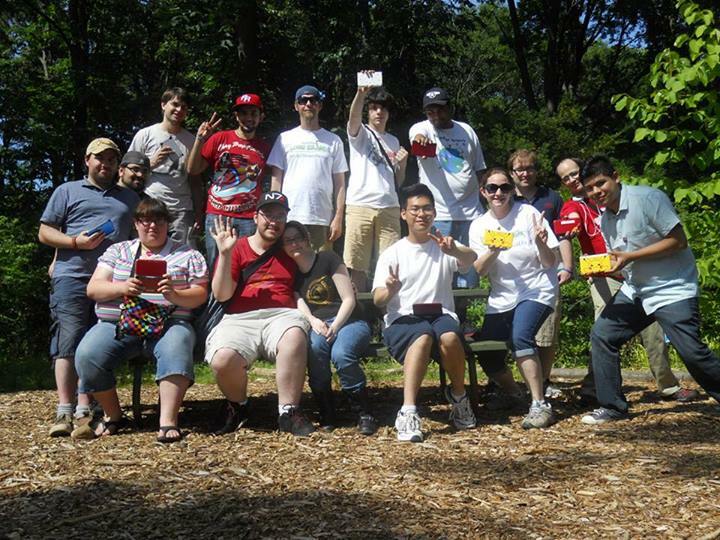 Last weekend, on June 23rd, StreetPass Long Island hosted the Super Awesome ACNL Garden Party at the Clark Botanic Gardens in Albertson, NY. 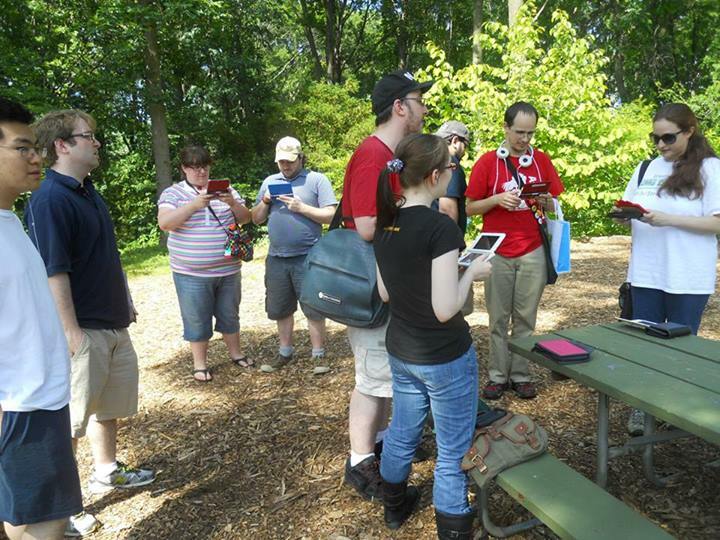 We had an intimate gathering of enthusiastic Animal Crossing fans who came to tour Long Island’s botanical gardens and play Animal Crossing New Leaf via local wireless! 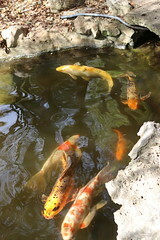 We walked around the gardens, found plenty of Public Works (“OMG a lamp post!” lol), saw some real-life tadpoles, and found inspiration for creating our own floral arrangements in our Animal Crossing towns! After the tour, we settled into the picnic area to play some local wireless. 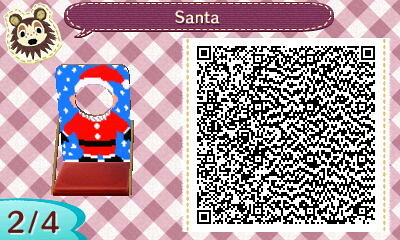 StreetPass Long Island handed out fan-made (created by SPLI Co-Founder, Debbie!) “Hybrid Flower Guides”, which included gardening tips, a flower checklist, and a color matchup chart for spawning hybrids in-game. For the local wireless portion of the event, SPLI attendees were treated to free flower seeds, tree saplings and shrub starters for their Animal Crossing New Leaf games (provided by Debbie’s Japanese Animal Crossing New Leaf town, which she has been playing since January – no cheating, time traveling or hacking here!). 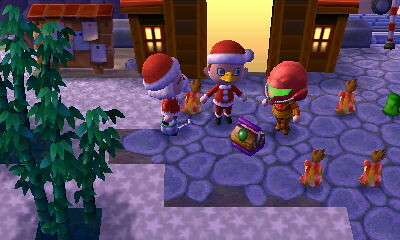 There was also an in-game scavenger hunt for Nintendo themed items and silver tools! At the end we also had in-game prizes for the player with the highest HRA score (awarded the StreetPass prize pack, including ice cream cones and balloons!) and the player who had the most fossils donated to their town’s Museum (awarded the Silver Tool starter pack, including a silver net, rod, shovel and slingshot!). 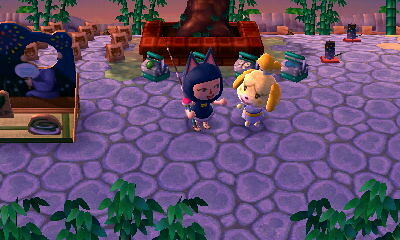 We hope everyone had a great time at the Super Awesome ACNL Garden Party! Let’s do this again soon! 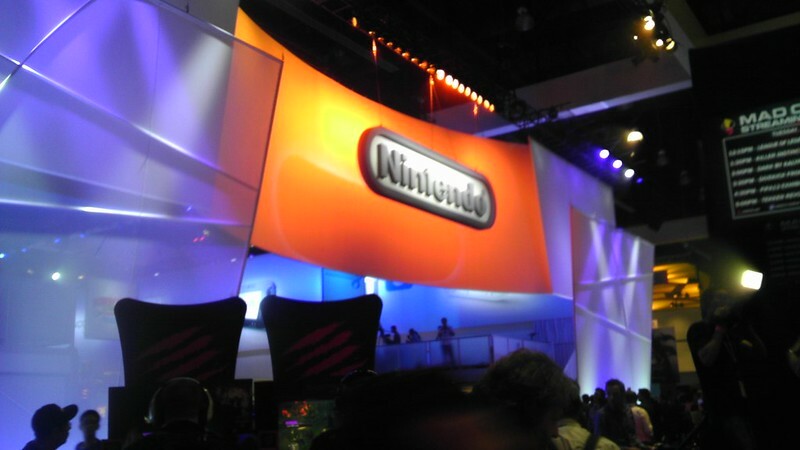 SPLI Nintendo Coverage at E3! 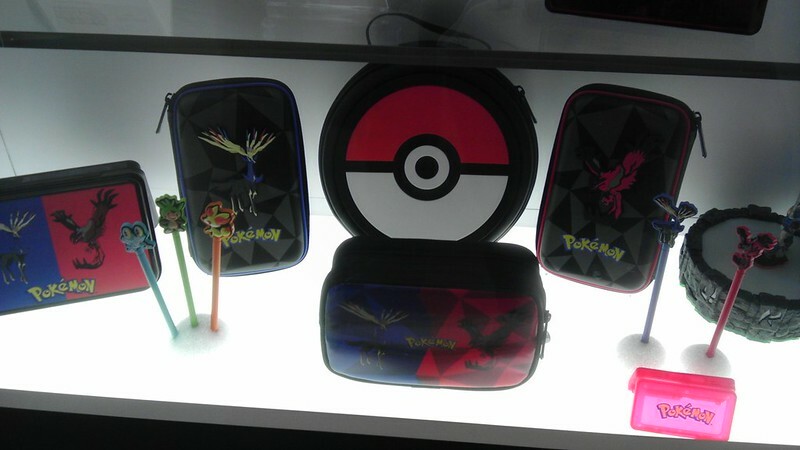 Here are StreetPass Long Island’s Highlights from E3! 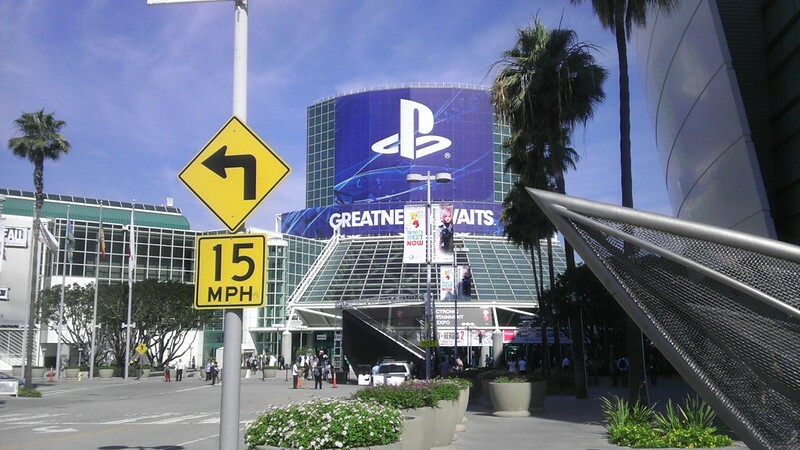 Arriving at the LA Convention Center! 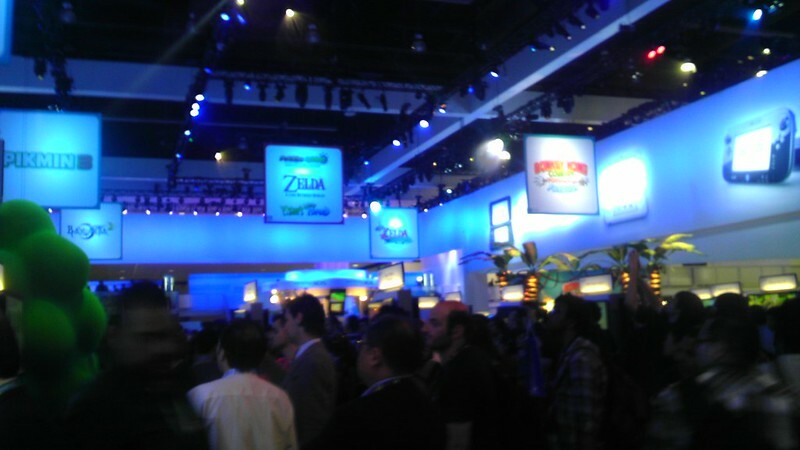 Outside the Nintendo Booth. Quite an impressive set-up! So many different demos to try! 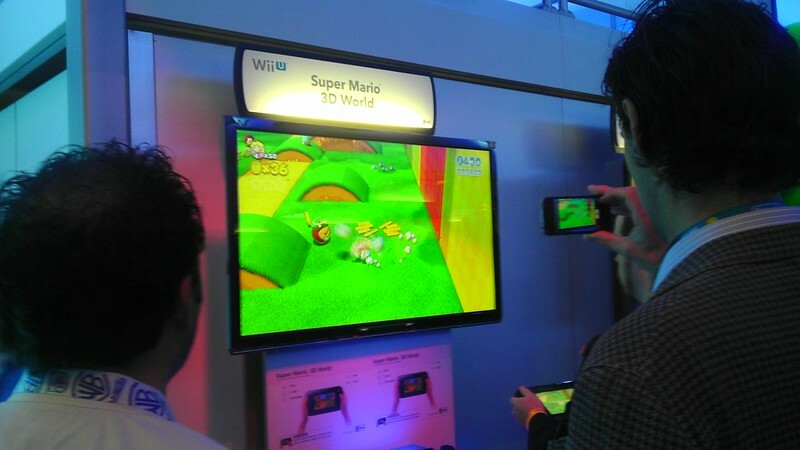 Super Mario 3D World Demo for Wii U! Beautiful HD graphics. 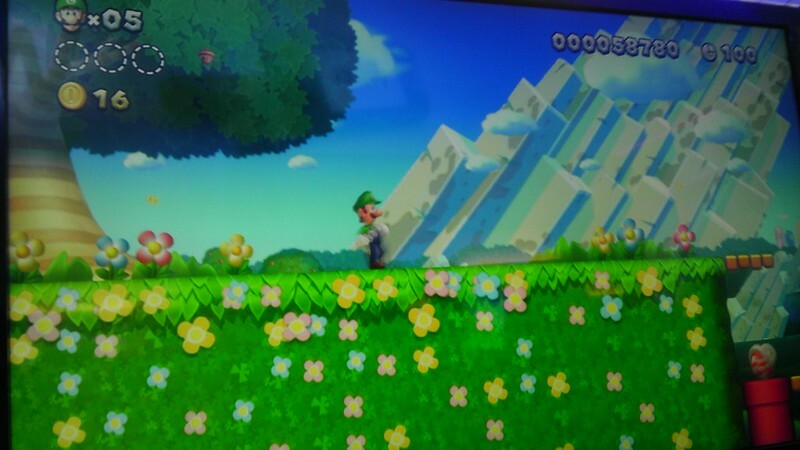 Sneak Peek at Super Luigi U DLC coming out soon on Wii U! 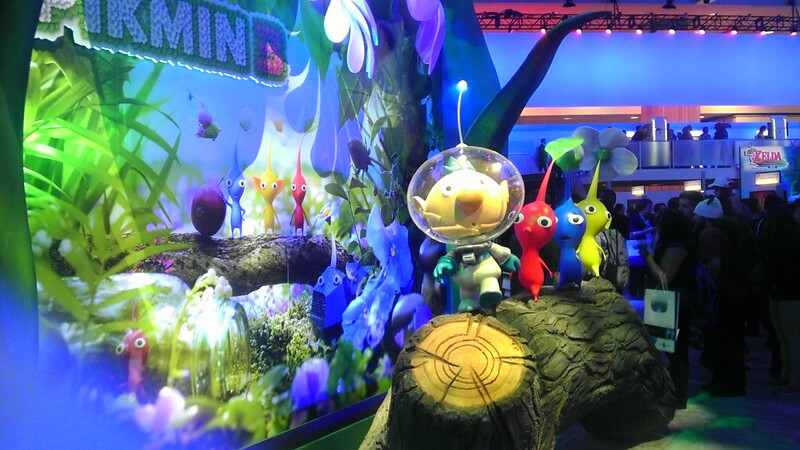 Really cool Pikmin 3 display! Can’t wait for this game! 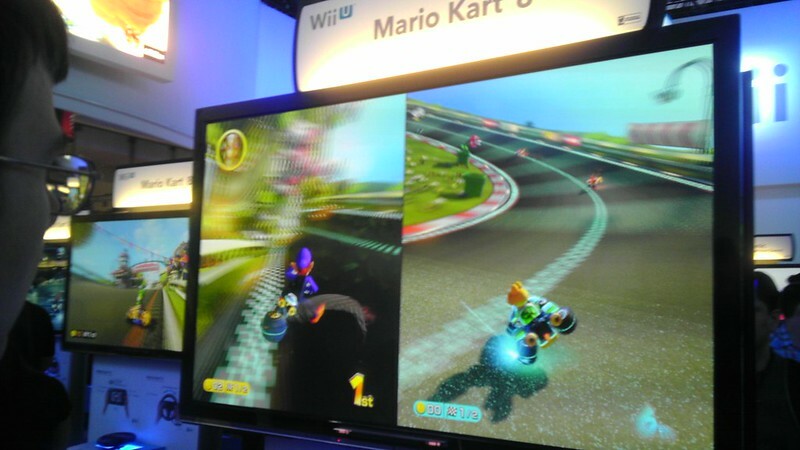 Mario Kart 8 Demo! Motorbikes are BACK!! 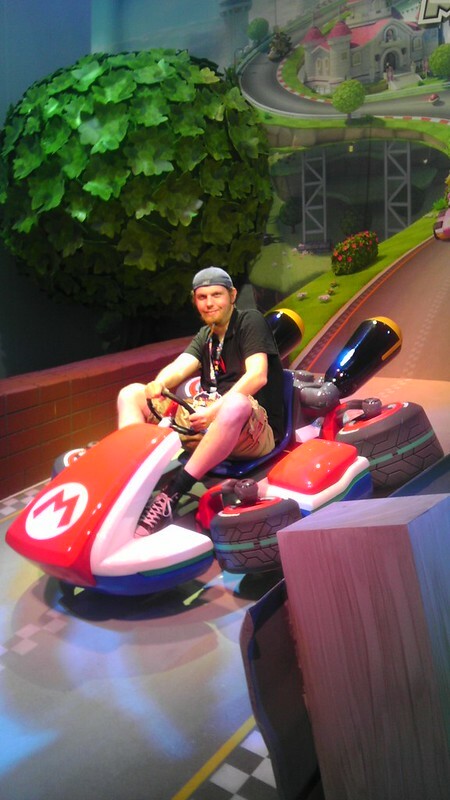 JDubz posing in a real life Mario Kart! 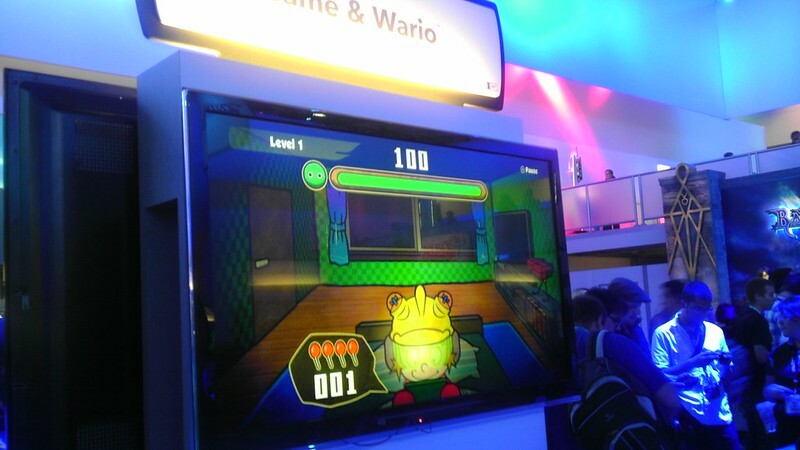 Game & Wario coming soon to Wii U! A great party game! 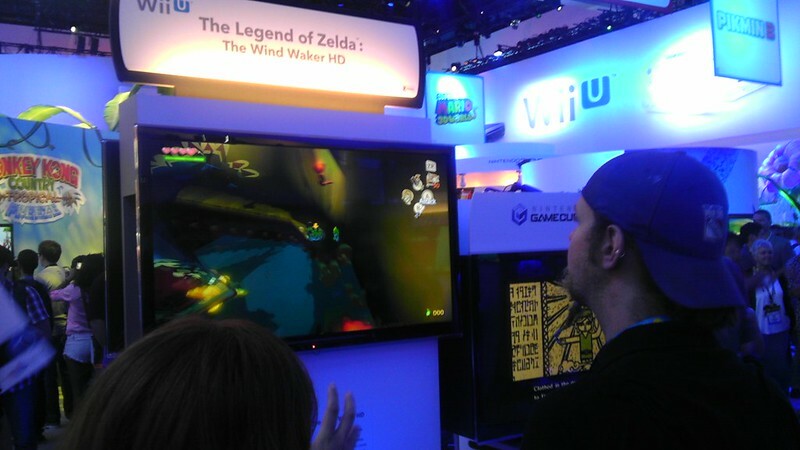 JDubz trying out the Wind Waker HD Demo. Very impressive! 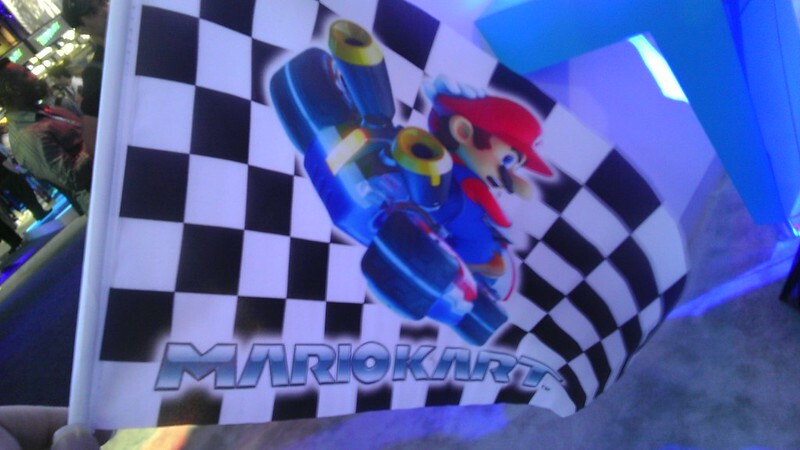 We won some Mario Kart flags, a Wind Waker HD T-Shirt and a Blooper Plush! 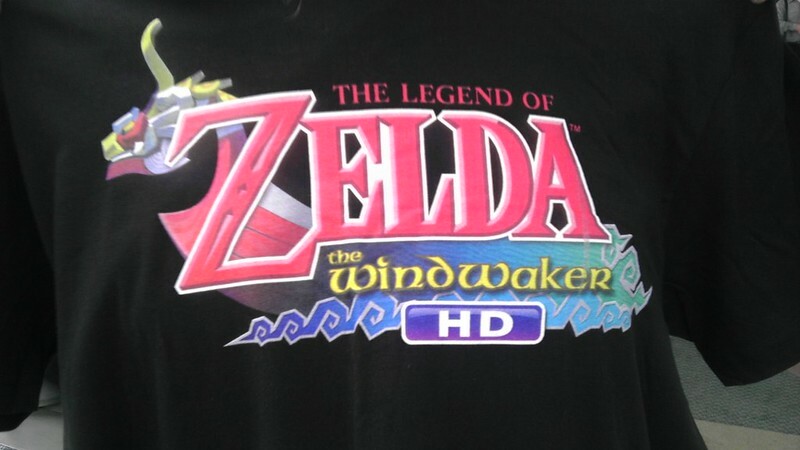 The coveted Wind Waker HD T-Shirt prize! 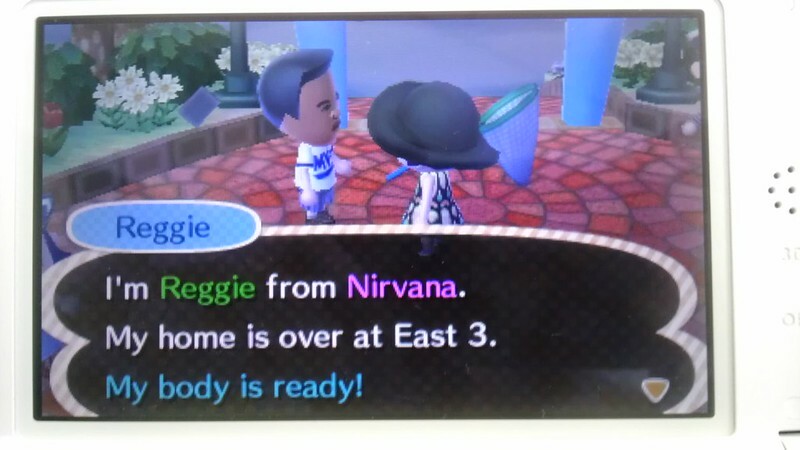 Animal Crossing New Leaf fans got a special StreetPass from Reggie at the Happy Home Showcase when they visited the Nintendo Booth at E3! 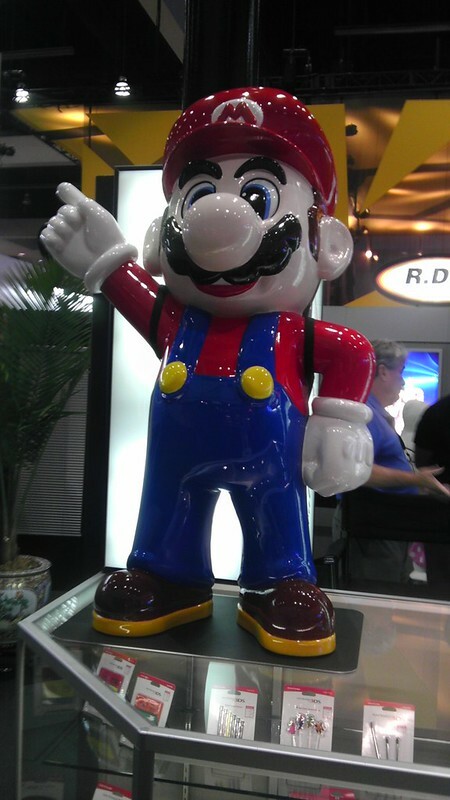 Cool retro Mario statue on display! 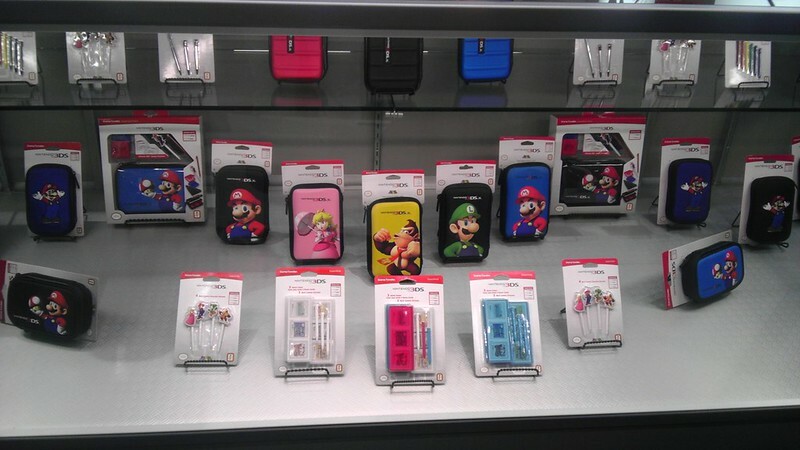 Nintendo 3DS cases, styluses, game cases… oh my! 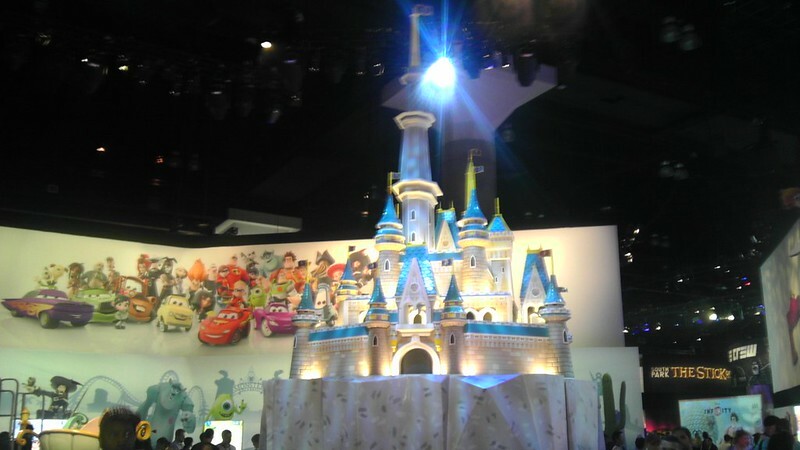 The Disney Infinity Booth! Giveaways at this booth included Disney Infinity Figures (to be used in-game when it is released!) and Disney themed custom t-shirts! 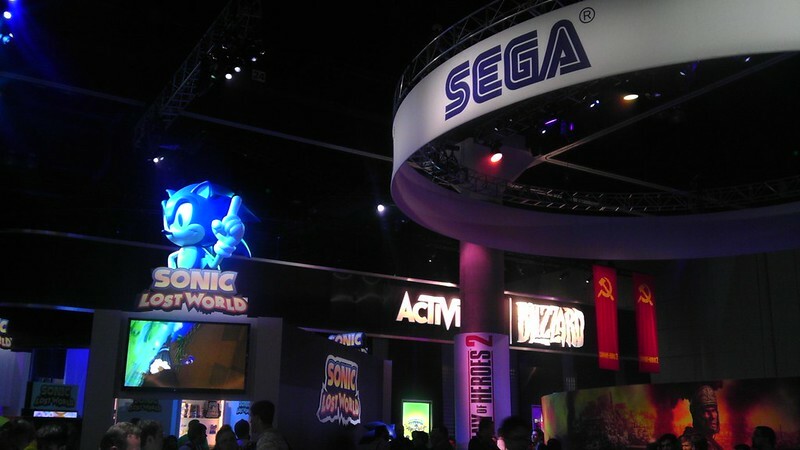 SEGA Booth! “Sonic Lost World” was the big title here. 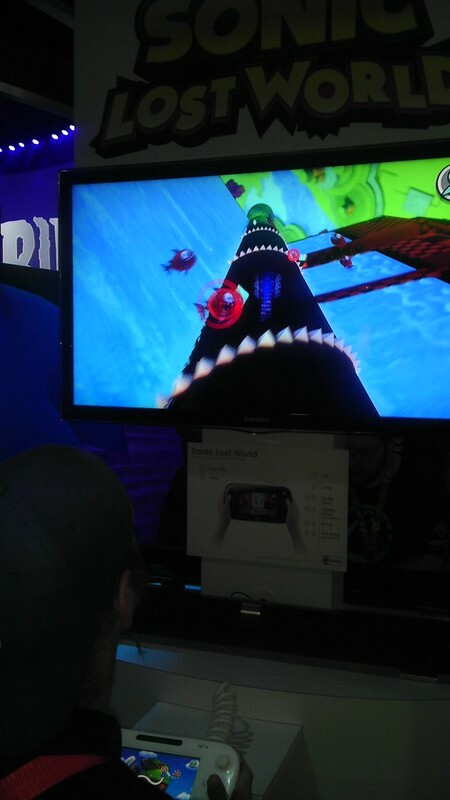 Sonic Lost World Demo! It was really cool, 3D graphics and Sonic is faster than ever! This game had a real Mario Galaxy vibe, can’t wait til it is released! 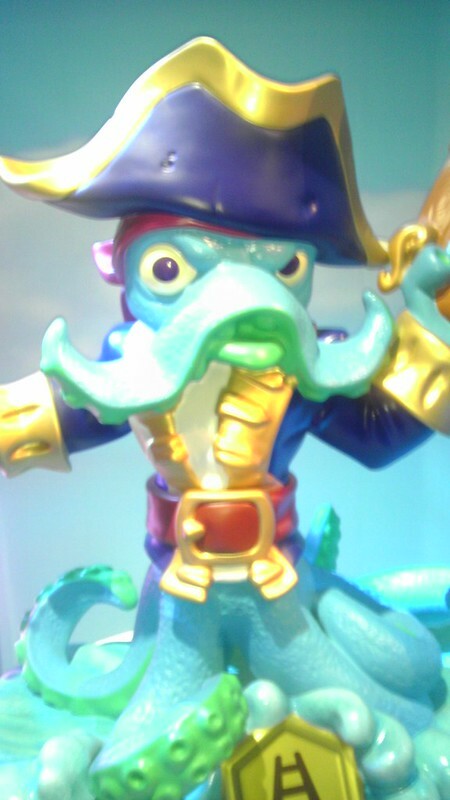 Skylanders Booth! Those who stood in line were given a chance to spin a wheel to win a free Skylanders Giants figure! We won a “Hot Dog.” The figure in this photo is actually a giant statue that was on display at the booth! 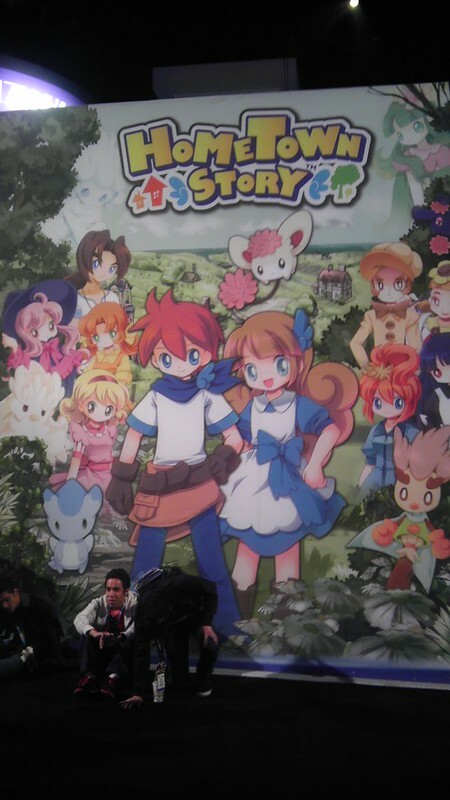 Natsume’s Booth featured the upcoming Home Town Story, an adorable game where you build up and run your Grandmother’s shop! 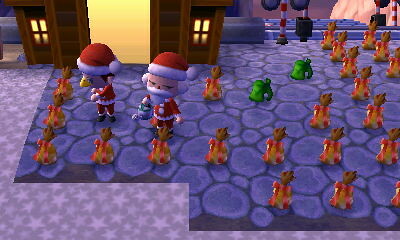 There was a really cute dragon plushie giveaway for those who took the time to play all the Natsume demos. 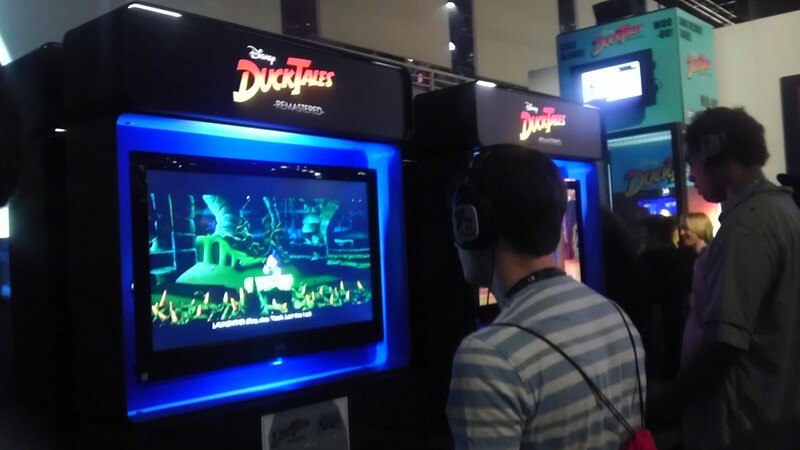 Of course we had to try the Duck Tales game demo! 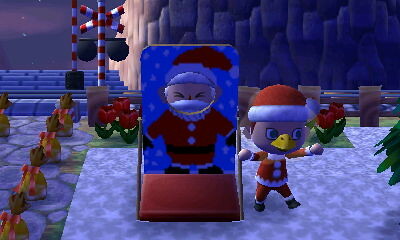 There was also a karaoke booth for those who wanted to sing along to the Duck Tales theme song for a video montage! 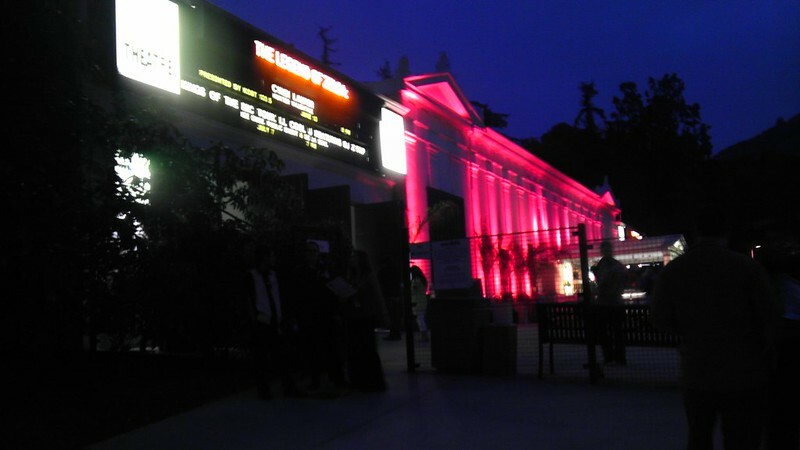 The Legend of Zelda: Symphony of the Goddesses concert was held at the famous Greek Theater in Los Angeles. This music is from the Spirit Tracks segment of the Symphony. This music is from the Wind Waker segment of the Symphony. We hope you enjoyed our E3 Coverage! 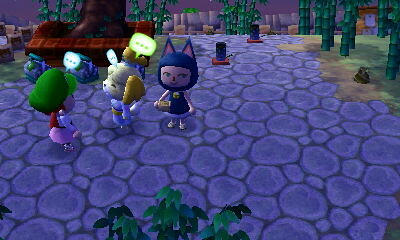 SUPER AWESOME AC:NL GARDEN PARTY! NOTE: THIS IS NOT A WIFI EVENT! THIS IS A STREETPASS EVENT! 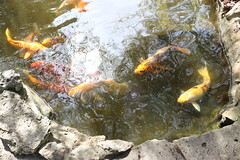 The Clark Botanic Gardens are located mere steps from the LIRR Albertson Train Station, making it easily accessible via a transfer to the Oyster Bay line, via either Jamaica or Mineola Train Station. Calling All Mayors! 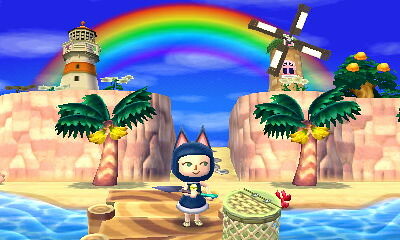 Need to spruce up your new Animal Crossing New Leaf towns? 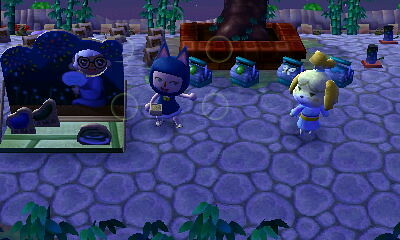 Come to StreetPass Long Island’s “Super Awesome AC:NL Garden Party” for FREE IN-GAME GIVEAWAYS, sponsored by Mayor Neko of Wasabi Village. 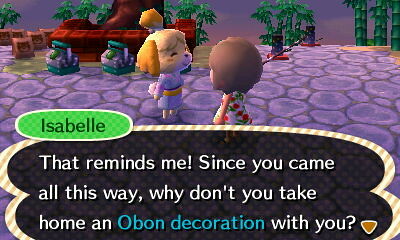 Gardening often plays a big role in Animal Crossing. While we peruse the beautiful Clark Botanic Gardens, we will discuss the best strategies for blooming hybrids in your AC:NL town! Be sure to have your StreetPass settings turned ON in the game to fill up your StreetPass Plaza! The Super Awesome ACNL Garden Party will be held at the beautiful Clark Botanic Gardens in Albertson, NY. It is literally a 2 second walk from the Albertson train station. Northern State Parkway: Take exit 29 (Roslyn Road), turn South onto Roslyn Road, then right onto I.U. Willets Road, followed by a right into the Clark Botanic Garden parking field, just before the railroad crossing. Long Island Expressway: Take exit 37, and turn South onto Willis Ave. Go about 1 mile, and then turn left onto I. U. Willets Road. Go approx. 4 blocks, crossing over railroad tracks. Clark Garden is on your left. Take any LIRR train to Jamaica Station. At Jamaica, transfer to the Oyster Bay Line (light green line – check your timetables!). 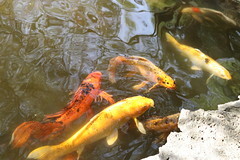 Albertson station is a 20 minute train ride from Jamaica station. 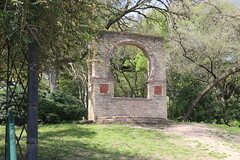 The Garden is immediately east of the station. Insider’s Tip: You can also transfer to the Oyster Bay line from the Mineola train station, so if you are coming from Huntington, Ronkonkoma or Farmingdale, you don’t have to ride all the way to Jamaica to reach the Oyster Bay line! N23 or N27 bus to I.U. Willets Road, then walk east 1/4 mile.